– Beyond Fest, the highest-attended genre film festival in the U.S., has announced “Cronenberg with Cronenberg: A Retrospective of the New Flesh,” an exhaustive,13-film celebration of the legendary autuer’s career. Returning to Los Angeles for the first time in a decade, David Cronenberg will be in attendance for three, special event screenings at the legendary Egyptian Theatre where he will be joined by actors, collaborators, and guest moderators. Co-presented by Telefilm Canada, the American Cinematheque’s partner for the annual Canada Now film festival, and with the support of the Consulate General of Canada, “Cronenberg on Cronenberg” opens on Saturday, September 29 with “The Shaping of Rage,”an all-day marathon of David Cronenberg’s early films presented sequentially and on 35mm. That evening, Cronenberg will be joined by long-time collaborator Howard Shore for a 30th anniversary screening of “Dead Ringers” with director Mick Garris moderating a post-screening Q&A. The full slate is comprised of 37 features, 43 shorts, one episodic series, and 20 virtual-reality and immersive experiences; half of the lineup was directed or co-directed by women. Other standouts include Kahlil Hudson and Alex Jablonski’s “Young Men and Fire,” Lana Wilson’s series “The Cure for Fear,” Jane Gillooly’s “Where the Pavement Ends,” “Divide and Conquer: The Story of Roger Ailes,” “What Is Democracy,” “The Truth About Killer Robots,” Locarno winner “Fausto,” and Karlovy Vary winners “Walden” and “Putin’s Witnesses.” Take a look at the full slate at https://pointsnorthinstitute.org. – Today SFFILM announced the recipients of the Sloan Science in Cinema Filmmaker Fellowship. The award goes to support the development of narrative feature screenplays that explore stories and characters related to science and technology. In addition to a $35,000 cash grant, the fellowship includes a two-month residency at SFFilm’s FilmHouse – production offices independent filmmakers – and access to consulting science advisors with expertise in the screenplay’s scientific subjects, as well introductions to leaders in the Bay Area’s science and technology communities. The two new fellows are writer/director Erica Liu with “The Mushroomers” and writer/director So Young Shelly Yo with “The 11th Endeavor.” Project descriptions are below. The fellowship is funded by the Alfred P. Sloan Foundation. “The Mushroomers”: Following her husband’s death, a young mycologist attempts to sublimate her grief by embarking on an offbeat project to heal a contaminated old-growth forest using only super fungi, but Mother Nature and the mechanics of her own mourning prove far fickler than she had anticipated. “The 11th Endeavor”: A fiery female biotechnologist, hoping to break ground outside the realms of her lab, competes to be Korea’s first astronaut on the nationwide televised Korean Astronaut Program. In her obsessive quest to become Korea’s first astronaut, So Yeon steps into a world of unmeasurable physical and mental stress and discovers shocking revelations about her country. Based on the true story of Yi So Yeon, South Korea’s first astronaut. – RLJE Films has acquired all North American rights to the upcoming horror film “All the Creatures Were Stirring.” Written and directed by David Ian McKendry and Rebekah McKendry, the film stars Constance Wu, Amanda Fuller, Jonathan Kite, Jocelin Donahue, and Graham Skipper. RLJE plans to release the film on VOD, Digital and DVD on December 4, 2018. 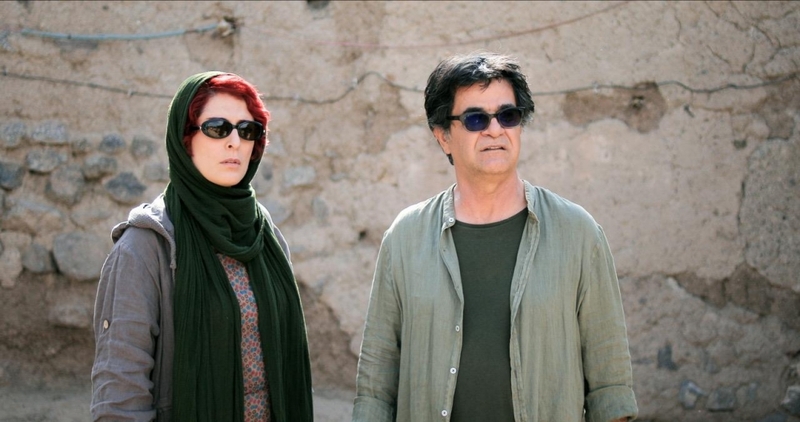 – Kino Lorber has acquired U.S. rights to Jafar Panahi’s latest humanistic drama, “3 Faces,” which had its world premiere and won the best screenplay award at this year’s Cannes Film Festival. The film will have its North American premiere next month at the Toronto International Film Festival and will screen at the upcoming New York Film Festival this fall. This is Panahi’s fourth feature that he has made while under a 20-year ban imposed by the Iranian government since 2010. The film will be rolled out in theaters in March 2019, followed by VOD and home video release. – The First Annual Montana International Film Festival today announced its main slate of over 55 films, panels and events from September 14 – 16 in Billings, MT. The inaugural festival will see six narrative and eight documentary features competing for $15,000 in cash and in-kind prizes, including the first-ever MINT Spirit Award, as well as six juried awards: Best Female Director, Best Narrative Feature, Best Narrative Short Film, Best Documentary Feature Film, Best Documentary Short Film, and the Made In Montana award. “We’re excited to have had the caliber of submissions that we received, especially for a first-year festival,” said Executive Director Brian Murnion in an official statement. You can find out more about the new festival at its official website. – Paramount Worldwide Acquisitions has acquired the North American rights to the Sarah Jessica Parker-starring drama “Here and Now” (formerly titled “Blue Night”). The film will be distributed by Paramount Home Media Distribution on Digital and VOD beginning November 9, 2018, the same day that it will debut in theaters from AMBI Distribution. – Samuel Goldwyn Films has announced that the company has acquired North American rights to actor Alex Pettyfer’s directorial debut “Back Roads.” Based on the Oprah’s Book Club selection and New York Times bestselling novel by Tawni O’Dell, the film explores the impact of family trauma with a powerful and visceral noir thriller that leaves audiences breathless until the last moment. The film is slated for a late 2018 theatrical release. – IFC Films has acquired U.S. rights to “Black 47,” directed by Lance Daly, produced by Macdara Kelleher, Tim O’Hair, Arcadiy Golubovich, and Jonathan Loughran. The film, which had its World Premiere at the 2018 Berlin International Film Festival, stars James Frecheville, Hugo Weaving, Stephen Rea, Jim Broadbent, Freddie Fox, Barry Keoghan, Sarah Greene, and Moe Dunford. Altitude Film Distribution will release the film in mainland Britain on September 28. The film will also open in the Republic of Ireland and Northern Ireland on September 5 through Wildcard Distribution. “Black 47” will have its North American premiere at the 2018 Toronto International Film Festival and will be released theatrically in the U.S. on September 28 via IFC FILMS. – Music Box Films has acquired the U.S. rights to “Transit” from German auteur Christian Petzold, starring up-and-comer Franz Rogowski and Paula Beer. The film had its world premiere in competition at the 2018 Berlin Film Festival and has been selected to play this fall in the Toronto International Film Festival and the New York Film Festival. Music Box Films plans a theatrical rollout in early 2019 followed by a release on home entertainment platforms. Adapted from Anna Seghers’ WWII novel of the same name, Petzold reimagines the story written and set in Marseille just after Germany’s invasion as an examination of modern-day France. The story follows Georg (Franz Rogowski), a German refugee who takes on the identity of a recently deceased author, Weidel, whose papers he was carrying as he fled Paris. – IFP’s signature event, IFP Week, is celebrating its 40th anniversary with both new and revamped public programs for the 2018 edition, taking place from September 15 – 20, 2018. Alumni from across four decades of the organization’s history are coming together to review careers, discuss the state of the film and media industries, and debate the future of storytelling. This year’s programs include numerous public screenings, talks, and even a DUMBO-wide scavenger hunt, all centered on cutting-edge independent content for the big screen, the small screen, and now your headphones, with IFP’s inaugural dive into podcasting and audio storytelling. IFP’s public programs are the perfect place to meet and interact with creatives pushing the boundaries of storytelling on all platforms. Under the leadership of Head of Programming Amy Dotson and Programming Producer Bill Curran, the IFP Week public talks and events take place in and around Brooklyn, NY at BRIC, The William Vale Hotel, the Brooklyn Army Terminal, DUMBO Loft, and IFP’s headquarters, the Made in NY Media Center by IFP. You can find out more about this year’s event at its official website. – Serbian producer Milos Antic announced today that he has acquired the film rights to legendary director Sam Peckinpah’s unproduced classic screenplay “Castaway” from the Peckinpah Estate and will be producing alongside Los Angeles-based producers Katy Haber and Benni Korzen. – The Hamptons International Film Festival (HIFF) today announced that writer/director Sara Colangelo’s “The Kindergarten Teacher” will be the Opening Night Film of the 26th Hamptons International Film Festival on Thursday, October 4 at Guild Hall in East Hampton. The film stars Maggie Gyllenhaal, Parker Sevak, Rosa Salazar, and Gael García Bernal, telling the story of a kindergarten teacher who seeks to cultivate the poetic talents of one of her students with questionable methods. Colangelo is a 2013 alumna of HIFF’s annual Screenwriters Lab. Maggie Gyllenhaal & Colangelo will both be in attendance at the festival. – YouTube has partnered with Roadside Attractions to release “Viper Club,” Maryam Keshavarz’s new drama starring Susan Sarandon, Matt Bomer, Lola Kirke, Adepero Oduye, Sheila Vand, and Edie Falco. The film will debut at the Toronto International Film Festival (TIFF) and will be released in theaters on October 26, 2018. VIPER CLUB will be available on YouTube Premium in 2019. The film, co-written by Iranian-American filmmaker Maryam Keshavarz and Jonathan Mastro, tells the story of Helen (Susan Sarandon), a veteran ER nurse secretly struggling to free her grown son, a foreign war correspondent, from capture by a terrorist group. After running into roadblocks with government agencies, she discovers a clandestine community of journalists, philanthropists and advocates who might be able to help her. – Grasshopper Film has acquired North American distribution rights to “Distant Constellation,” Shevaun Mizrahi’s beautifully composed and magical documentary on the residents of a Turkish retirement home comprised of pranksters, historians, artists and would-be Casanovas. “Distant Constellation” will open theatrically at the Metrograph in New York City on November 2, 2018 before expanding to other markets, followed by a release on VOD and home video in early 2019. – Kino Lorber announces has acquired all North American rights to Bi Gan’s sophomore feature, “Long Day’s Journey Into Night,” which had its world premiere at Un Certain Regard section at Cannes Film Festival earlier this year. The film will have its North American premiere at the upcoming Toronto International Film Festival next month and its US premiere at the New York Film Festival in October. The film will be rolled out in theaters in Spring 2019, followed by VOD and home video releases. Bi’s previous film, “Kalili Blues,” had an acclaimed run worldwide in 2015, winning China’s Golden Horse Award for Best New Director and an emerging director award at the Locarno International Film Festival. Per its official synopsis, “‘Long Day’s Journey Into Night’ follows a drifter named Luo Hongwu (Huang Jue) who returns to Kaili, the Chinese hometown from which he fled several years ago. He begins a search for the woman he once loved (Tang Wei) and whom he has never been able to forget.” The film wowed audiences and critics at Cannes with an ambitious 59-minute, single 3D extended take that plunged viewers into the main character’s dreamy perspective when he dons glasses in a cinema to watch a 3D film. Cooper will also receive a year of mentorship and services to support the development, production, and impact campaign for the film. The announcement comes at a critical time, and this program will nurture filmmakers committed to creating dynamic storytelling and encourage environmental stewardship. The SFFILM Environmental Fellowship is geared towards mid-career filmmakers with a feature documentary project in development or early production that focuses on pressing environmental or conservation issues. Cooper is an Emmy Award-winning cinematographer with a passion for transforming complex issues into compelling storytelling. “Youth v. Gov” will chronicle a landmark lawsuit brought by 21 youths who are suing the U.S. government and fossil fuel industry for creating a climate emergency and endangering their futures. The film was selected from a field of 70+ submissions by a committee of film and environmental experts from SFFILM, Vulcan Productions, Sierra Magazine, EarthX and the Redford Center. – Sundance Selects has acquired U.S. rights to “Non-Fiction,” written and directed by Olivier Assayas, starring Juliette Binoche and Guillaume Canet. The film will have its World Premiere at the Venice FIlm Festival followed by screenings at the Toronto International Film Festival and the New York Film Festival. – Glenn Close will be honored by Museum of the Moving Image at its 32nd annual Salute on December 3 in New York. The news was announced today by Ivan L. Lustig, Co-Chairman of the Museum’s Board of Trustees and Carl Goodman, the Museum’s Executive Director. The evening will feature cocktails, dinner, and an award presentation, featuring clips from Close’s career introduced by her friends and colleagues. Close joins the ranks of past honorees who have received the Museum’s Salute including: Annette Bening, Warren Beatty, Tom Cruise, Clint Eastwood, Robert DeNiro, Robin Williams, Goldie Hawn, Dustin Hoffman, Tom Hanks, Hugh Jackman, Steve Martin, Julianne Moore, Al Pacino, Sidney Poitier, Julia Roberts, Martin Scorsese, Steven Spielberg, and Jimmy Stewart. – The 2018 Traverse City Film Festival wrapped over the weekend, and concluded its latest edition with a slew of award winners, including Win Wenders’ “Pope Francis: A Man of His Word” (Grand Prize for Best Film), a tie for Best U.S. Fiction film between Scott Cooper’s “Hostiles” and Brett Haley’s “Hearts Beat Loud,” the Best U.S. Nonfiction Film winner “Jane Fonda In Five Acts” from Susan Lacy, and a special Lifetime Achievement Award to Jane Fonda. You can see the full list of winners right here. – The Woods Hole Film Festival, the oldest film festival on Cape Cod and the Islands, concluded its 27th year over the weekend with the announcement of this year’s winners at the Captain Kidd Restaurant in Woods Hole. With 170 films, an increase of 40 from last year, this year’s festival experienced unprecedented competition with three awards presented in each category. More than 100 filmmakers, the majority of whom were making their directing debuts, and over 6000 audience members attended this year’s Festival. Jury winners included: “Funny Story” for Best Narrative Comedy Feature, Henry Barrial’s “Driver X” for Best Narrative Dramatic Feature and and “Dawnland,” directed by Adam Mazo for Best Documentary Feature. – Cinema Guild has announced the acquisition of all U.S. distribution rights to Hong Sangsoo’s “Grass.” The film premiered at the Berlin International Film Festival in February and fall festival dates will be announced soon. “Grass” will open in theaters in 2019. – IFC Films has announced that it is acquiring U.S. rights to “Diane,” a film written and directed by Kent Jones, executive produced by Martin Scorsese and starring Mary Kay Place. The film will have its international premiere this week at the Locarno Film Festival and won the top prize for Best Narrative Film at the 2018 Tribeca Film Festival along with Best Screenplay and Cinematography. IFC plans to theatrically release the film in early 2019. – Grasshopper Film has picked up US distribution rights to “Asako I & II,” with a plan to release the film in theaters early next year, followed by a VOD and home video release. Based on a novel by Tomoka Shibasaki, the film premiered in competition at the 2018 Cannes Film Festival. The news was first reported by Deadline.